The cinema or pop film has now become “the cathedral of the [twenty-first] century.” Among its many implications, this metaphor keenly denotes that the film now provides its viewers with theological or spiritual meanings and issues that vitally affect their everyday (religious) thinking, behaviors and life patterns. Doubtless, this spiritual or religious function of the film used to be the church’s unique spiritual responsibility or task in the Christian West. Now, the film does it in place of the church. Hence, it is not surprising to hear George Miller, the producer of Babe and The Witches of Eastwick, say, “I believe cinema is now the most powerful secular religion and people gather in cinemas to experience things collectively the way they once did in church.” But, to be clear, this is not a space to moan over the church’s loss of its once unique spiritual function, but rather a space for constructive dialogue between the church’s faith and film, a significant cultural and spiritual phenomenon of the twenty-first century. More specifically, this is a space to explore the possible constructive relation between pop film and Christian preaching, the latter being one of the most weighty faith expressions and also a substantial way of faith formulation in the Protestant church. Now, more and more people than ever go to the movie complex, watch and hear all kinds of imagined narratives, experience various emotions, challenge their intellectual limits, and even get edified or transformed in a spiritual sense. What is noteworthy here is that the act of preaching is supposed to perform similar, if not the same, tasks when it is being done in the “sacred theater,” i.e., the church pulpit. Preaching narrates the human and divine stories, invokes emotional responses in people’s psychology, challenges humanity’s intellectual limits vis-à-vis the divine limitlessness, and pursues people’s fundamental spiritual transformation. The problem is, as implied above, that film is now doing a better job of attracting and transforming people with its own messages and agendas than the church’s preaching. Thus, here arises a question: What kind of new homiletic is desired to bring today’s film-saturated people back to the church’s message? This article suggests a cinemate homiletic (“Homiletic” denotes scholarly construction of a specific preaching methodology) as a possible new homiletical methodology that can help preachers approach the cinematic psychology of the people today and then formulate an attractive, effective and transformative message for them. As we shall see later, this cinemate homiletic is not as simple a methodology as it might sound, merely dealing with how to effectively use film in preaching (e.g., a movie episode as an edifying illustration in the sermon). This homiletic is far more complicated than that, and thus, it requires several questions be answered on the way to making the methodology culturally relevant, theologically rich and communicatively effective. The five questions below will be addressed and answered in the construction of the cinemate homiletic methodology. These questions also form the structure of the article. Can a film or movie, a product of mass consumer culture, be spiritual, aesthetic and even revelatory enough to be a conversation partner with preaching? What do we specifically mean by spirituality, aesthetics and revelation in and through film? What specific relation do we see between film and preaching? 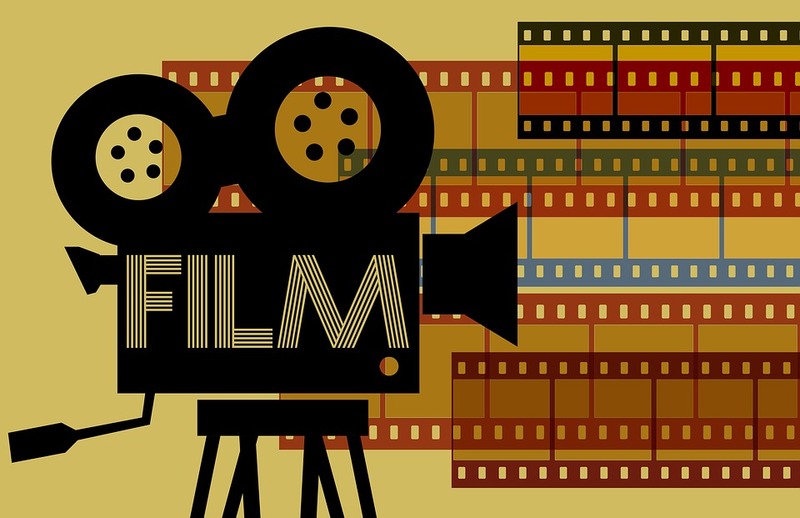 Why do we choose film as our particular homiletical interest? Exactly what is a cinemate homiletic? What kind of preaching is that? How are we going to approach film in creating a cinemate homiletic and how are we going to make preaching cinematic? What are the anticipated challenges? The growing possibility of the motion picture…is its usefulness to the preacher as he [sic.] proclaims the moral truth. It will provide the element of illustration for his discourse far better than it can be provided by the spoken word. It will make his gospel vivid, pictorial, dramatic, and above all, interesting. After more than 100 years, Rev. Jump’s “timely” argument still rings true. This media-indulged, film-saturated generation seeks to create their own style of preaching that is culturally, theologically and communicatively relevant. A cinemate homiletic can be a great aid in satisfying their request, since, as we shall see, it attempts to achieve cultural relevancy, theological richness, and communicative effectiveness in the preaching art which still aspires to evoking spiritual transcendence and transformation in people’s cinematic minds today. II.Scene #1: What Is (Good) Pop Cinematic Work to Be Used? The cinemate homiletic deals mostly with so-called pop movies. What are pop movies? Pop movies are those movies watched by the general public at any local cinema complex on an everyday basis. I intentionally avoid so-called artistic or independent movies that only target select audiences. Thus, here we deal primarily with the everyday movies that have influenced the general public’s cultural, ideological, spiritual or religious imagination and formation. Indeed, those pop movies are the ones that many of the Sunday church congregants are most likely to watch on a regular basis in the evening. Now, are all pop movies acceptable for this cinemate homiletic? Or are there only some “good” movies specifically appropriate for this new homiletic? The answer to the latter question is yes, there are good (or better) movies with which we want to deal. So then, what do we mean by “good?” Throughout the article, we will specifically use “good” to mean movies that are easy to watch yet deep enough to require considerate reflection (or in Paul Tillich’s language, movies that invoke the “ultimate” concern of humanity). Certainly, there are easy-to-watch movies that do not require any serious reflection or express any ultimate concern with human life; films like Jackass (2002) or Ocean’s Twelve (2004) easily come to mind. And also there are movies requiring deep reflection that are not easy to watch like Who’s Afraid of Virginia Wolf (1966) or The Last Temptation of Christ (1988). These generally do not attract the general public to the theater. There are countless easy-to-watch pop movies without heavy concerns over humanity on the market, even some of them praising the negation of sound humanity. There is always a grave caution in using a pop film as a dialogue partner for critical faith matters, as we will discuss in depth later. Yet, several theologians of culture have found many good pop movies that “broaden our exposure to life and provide alternate interpretations of life’s meaning and significance.” Furthermore, they realize that “[c]ontemporary film can break through the surface to the dimension of depth and offer the world symbols of renewal.” In that sense, “[f]ilms . . . help us to break down the walls between the sacred and the secular, can help us realize once again that the whole world is God’s monastery.” To summarize bluntly, the benefits from conversation with “good” pop movies are greater than the legitimate cautions. A point should be made clear at this juncture: pop movies have influenced the general public’s theological concerns, ideologies, spiritual yearnings and cultural norms on a regular basis at the most everyday level. And those concerns, ideas, yearnings, and norms are the ones that they bring to the pews where they sit Sunday morning, wanting to listen to the preacher’s relevant message on those pop, yet ultimate, concerns. If preaching cannot address those ultimate life concerns of the church-goers, why do we preach at all? A cinemate homiletic offers a considerable answer to that critical question. III. Scene #2: Film as Spiritual, Aesthetic, and Revelatory? This article starts with the key assumption that film is aesthetic, spiritual and revelatory. Here, we use three different terms, yet at the practical level these are interchangeable. Aesthetic ideas, artifacts or experiences are more often than not spiritual or religious, while spiritual experience is often possible through aesthetic beauties. And a revelatory experience or event is almost always spiritual, accompanied by certain aesthetic phenomenon. Film is, above all, aesthetic. There are numerous ways to define aesthetic or artistic, yet at the core of all those definitions, as Edward Farley argues, is the power or influence of transcendence. In other words, aesthetic experience almost always accompanies the experience of transcendence, an experience of going beyond oneself. Film does this job very well as Michael Bird says: “Cinema becomes at least the witness for and frequently the agent of ‘the manifestation of something of a wholly different order, a reality that does not belong to the world.’ [Elide]” Film often invites the viewer, whether she is conscious of this or not, into this transcendental experience, and eventually makes a spiritual claim on her to be sure. Whether she takes that transcendent spiritual claim as her own for the sake of her spiritual life totally depends on her later decision. Yet, the fact is undeniable that a certain revelation happened to her; one she has never known before or forgotten for a long time. In sum, the spirituality of the aesthetic film has opened a revelatory gate to her. Further, pop film has successfully transformed itself into “a complex art form that includes images, music and words.” Now, through the aesthetic combination of image, music and words, (e.g., The Hunchback of Notre Dame, the Walt Disney animation as a good example), movies lead the viewer not only into a serious questioning of humanity itself, but also into the question of divine mystery beyond the human capacity to understand. Pop film, obviously, has established its artistic stance beyond its mere commercial notoriety. The classic advocate of revelation through culture, Paul Tillich once said, “Everything that expresses ultimate reality expresses God whether it intends to do so or not.” Jürgen Moltmann also had a similar statement that in the world, there is “immanent transcendence . . . which is God in, with, and beneath each everyday experience . . .” Film, is capable of expressing ultimate reality that enables the experience of transcendence, or the experience of God in Christian terms. And film, as a friendly form of pop culture, is now everywhere everyday in our mundane lives, which makes the immanent transcendence of the divine an “everyday experience.” As argued above, church-goers bring that everyday aesthetic, spiritual and revelatory experience to the church pews, where their everyday transcendental experience is tested, interpreted, confirmed or reexamined for its veracity. The preacher is then summoned to the pulpit to initiate a critical sermonic dialogue with the film-saturated congregation. The preacher needs an effective communicative tool for that task; this article wishes to suggest a cinemate homiletic. Here is a theological conclusion from the discussion thus far. Preaching is theological and so is film. What is theological? To borrow Tillich’s terminology again, theology is all about the ultimate concerns of humanity, deeply associated with divine revelation. Preaching and film express similar, if not the same, concerns of humanity and revelation in very similar ways. But, how do they do so? That is the question that the article will address below. To begin with preaching first, there are numerous ways that we can define preaching. But one commonly accepted way defines preaching as the sacred moment of divine-human mutual communication and communion. That is, through preaching, God communicates with humanity and enjoys sacramental communion with human beings. Johnston in his Reel Spirituality also acknowledges these dialogical and communal happenings in and through film, when he says that “movies are a window through which God speaks . . . They are sacramental . . . for the [film] artist is a potential sacrament maker, one who can reveal the presence of God within creation itself” [italics mine]. Simply put, for him, God speaks and communes with humanity in film. Now having confirmed the dialogical and communion qualities, we have a critical consideration regarding the relation between film and preaching. If the movie’s world is spiritual, aesthetic and revelatory enough to invoke people’s transcendent experience, and that movie’s revelatory world gets involved in the communication and communion of the audience’s everyday life, we can convincingly contend that the work film does for its audience is identical to what preaching does for its congregation. That is, we are now bold enough to say that God communicates with humanity and enjoys sacramental communion with human beings both in preaching and in film. We acknowledge that preaching is specifically a religious event while film is a pop-cultural event. The two have fundamentally different purposes. We have established, however, that film has a very similar communicational and sacramental function. A critical issue in focus here is that nowadays film, thanks to its own creative way of communication and communion, is attracting more of an audience than is the church’s preaching. There must be a significant lesson that Christian preaching should learn from how film carries out its similar task. At its most basic, this article is all about that lesson. How can we render Christian preaching as attractive, communicative, spiritual, revelatory and sacramental as a good pop movie? Now is the time to introduce the concrete cinemate homiletical methodology to answer that question. Quoted in Johnston, Reel Spirituality, 7. Three terms—cinema, film, and movie—are used throughout the article interchangeably. In most writings regarding film, there are no specific distinctions among them, except that movie is a more general popular term while cinema and film are often used in a more collective sense. Martin Scorsese quoted in Guy Bedouelle, “Eric Rohmer: The Cinema’s Spiritual Destiny,” Communio 6, no.2 (1979): 280. Here, I change Scorsese’s “twentieth” to “twenty-first” since his observation about film is even more relevant today than it was in his day. George Miller, quoted in Michael Frost, Eyes Wide Open: Seeing God in the Ordinary (Sutherland, NSW, Australia: Albatross Books, 1998), 100. As quick information for those not familiar with the term “preaching” or “sermon” (the content of preaching), preaching is the Bible-based or the Bible-interpreting religious verbal communication issuing from the preacher to the church community. Preaching in general aims for religious exhortation, evangelism, doctrinal education, and/or spiritual enhancement. “Homiletic” is the term to denote scholarly construction of a specific preaching methodology. According to a study released by The National Endowment for the Arts, in 2009 alone Americans spent more than $10 billion, with 3.4 million people attending movies each day. Quoted on http://www.huffingtonpost.com/2011/04/30/national-endowment-for-th_n_855787.html. The term, “cinemate,” was coined by James Monaco, who draws parallels between film and language. He recognizes the film functioning like a language, even though the film itself does not have complete linguistic systems. James Monaco, How to Read a Film: Movies, Media, and Beyond (Oxford; New York, Oxford University Press, 2009), 170. Since then, meanwhile, “several writers have discussed the cultural prominence and importance of film by describing it as a ‘lingua franca’ or ‘cultural currency’ in which discussions about life and death (and life and its depth) issues are conducted.” Timothy B. Cargal, Hearing a Film, Seeing a Sermon: Preaching and Popular Movies (Louisville, Ky.: WJK Press, 2007), 3; and see Robert Johnston, Reel Spirituality: Theology and Film in Dialogue (Grand Rapids, Mich.: Baker Books, 2000), 24; Clive Marsh and Gaye Ortiz, eds., Explorations in Theology and Film (Oxford: Blackwell, 1997), 2; and, regarding movies as part of pop culture more generally, Craig Detweiler and Barry Taylor, A Matrix of Meanings: Finding God in Pop Culture (Engaging Culture; Grand Rapids: Baker Academic, 2003), 21. The article, thus, following Cargal’s example, adopts the term, “cinemate,” to specifically denote the close relation between the film as the most prominent cultural language and preaching as the primary linguistic event of the church. Herbert A. Jump, “The Religious Possibilities of the Motion Picture,” quoted in Terry Lindvall, The Silents of God: Selected Issues and Documents in Silent American Film and Religion, 1908-1925 (London: Scarecrow Press, 2001), 71. Paul Tillich, Systematic Theology I-III (Chicago: University of Chicago Press, 1967), 2:165; The Courage to Be, 2nd ed. (Yale Nota Bene. New Haven, Conn.: Yale University Press, 2000), 186. Carl Skrade, “Theology and Film,” in John C. Cooper and Carl Krade, eds., Celluloid and Symbols (Philadelphia, PA: Fortress Press, 1970), 15. For an acute articulation on this interlocked correlation between aesthetic, spiritual and revelatory (or theological), see Paul Tillich, “Art and Ultimate Reality” and Karl Rahner, “Theology and the Arts” each appearing in Gesa Elsbeth Theissen, Theological Aesthetics: A Reader (Grand Rapids, Mich.: Eerdmans, 2005), 209-222. Theissen rightly summarizes Rahner’s position on this matter, saying, “He points out that theology must integrate the verbal and non-verbal arts since they are authentic means of human self-expression [aesthetic], of religious experience [spiritual], of God’s self-communication [revelatory].” On the same page, Rahner himself contends, “[T]heology cannot be complete until it appropriates these arts as an integral moment of itself and its own life, until arts become an intrinsic moment of theology itself.” Theissen, 218. For a detailed discussion on film as an art form, see James Monaco’s “FILM AS AN ART” (chap. 1) in How to Read a Film, 24-74. Edward Farley, Faith and Beauty: A Theological Aesthetic (Aldershot, Hants, England; Burlington, VT.: Ashgate, 2001), 117-20. Michael Bird, “Film as Heirophany,” in John R. May and Michael Bird, eds., Religion in Film (Knoxville, TN: University of Tennessee Press, 1982), 3-22. There are voices critical of the film’s aesthetic value, spiritual invocation and revelatory potential. Consider what Max Horkheimer and Theodor W. Adorno, well-known social critics of the Frankfurt School, said in 1947. “Movies and radio need no longer pretend to be art. The truth that they are just business is made into an ideology in order to justify the rubbish they deliberately produce.” Obviously, for them, pop movies are junk entertainment and consumer products “controlled by crass commercial interests. They merely provide escape or indulge our prejudices and fantasies, oversimplifying life in the process.” Hence, Horkheimer and Adorno appear to have serious doubts about the aesthetic values, spiritual invocation or revelatory potential of the pop film, and seem to be in agreement with another of their School colleagues who says, “Under these circumstances, the film industry is trying hard to spur the interest of the masses through illusion-promoting spectacles and dubious speculations.” That was over half a century ago, however, and things have changed quite a bit since 1947. A little of what they argued about still remains, but much of their argument has lost its persuasiveness. Now the masses (admittedly, we are still “masses”) are more acute and more individualistic than ever when they choose and buy a product. They are not easily deceived or fooled by the business of consumer commercialism. Before buying (or watching), they investigate the product using various sources (such as the Internet), and then make a decision based on their own individual judgment. This is certainly not the consumerist-totalitarian decision-making that the School critics experienced in their time or anticipated for our time today. Cited in David John Graham, “The Uses of Film in Theology,” in Clive Marsh and Gaye Ortiz, eds., Explorations in Theology and Film, 37. Jürgen Moltmann, The Spirit of Life: A Universal Affirmation (Minneapolis: Fortress, 1992), 34. For a detailed discussion on preaching as communication, see Carl Michalson, “Communicating the Gospel,” Theology Today 14, no. 3 (October 1957): 321-33; for an aspect of preaching as sacramental communion, see Geoffrey Wainwright, “Preaching as Worship,” The Greek Orthodox Theological Review 28, no. 4 (Winter 1983): 325-36. Here, the article uses two terms, “communion” and “sacrament” interchangeably, in a common theological sense that both indicate the holy union between humanity and the divine through and by the grace of God.